Baptcare, sponsors of the Melbourne International Flower and Gardening Show, have introduced a Garden Club for some of their In-Home Care clients within the Western suburbs of Melbourne. Whilst visiting clients, Baptcare Western In-Home Care Chaplain, Penny Davis and Diversional Therapist, Jennifer Puxley were hearing that a loss of being able to garden, be this through advice from a doctor due to a possibility of falls, and not being able to get up, or poor health and living arrangements with no viable space for a garden was a common theme facing many of their clients. Through Baptcare’s work supporting their western area clients, including one with younger onset dementia at the Westvale Community Centre, a working relationship was developed with the team leader Ellen Kessler where it was discovered that part of the work the centre does is a community garden. Ellen’s aim is to further develop partnerships with community organisations to develop relationships and allocate garden plots for particular groups. Baptcare was fortunate to be offered a sizable garden plot at the centre to use with our clients and run group and individual gardening therapy – which began our Gardening Club! Two clients who tend to the garden each week, are Fred* a gentleman with younger onset dementia and Mary* an elderly Greek grandmother. They have come together due to a love of gardening, the chance to share knowledge and it provides them with a sense of value within their community. 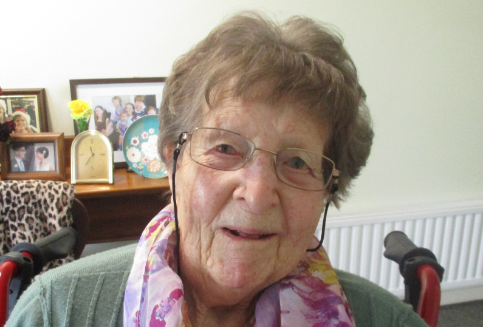 “Mary is unable to cook and clean anymore due to her health, so to watch her tend to the garden and provide hints & tips to all around is wonderful. 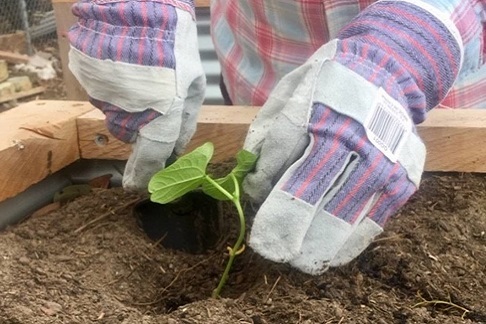 She has become the brains of the garden club, with Fred being the muscle, but he has also shown his delicate touch, especially when it comes to planting the new bean seedlings” said Penny. Raised garden beds, tools and equipment including some made for arthritic hands, soil and some initial plants/seeds were funded by a mission grant, ensuring the garden club is working within the Baptcare values of wellbeing, co-creating and respect. The Garden Club has been planting vegetables, herbs, and aloe vera and it is hoped that once the vegetables mature that they can be used in cooking classes at the Community Centres kitchen. This would provide an extra sensory experience for the clients and other organisations who use the centre. At Baptcare, our mission is to partner with people of all ages, cultures, beliefs and circumstances for a fullness of life and we feel that safe gardening practices which is key to our Gardening Club not only helps our client’s sensory skills, but also provides them with a sense of purpose, of belonging and something for our clients to take pride in, which is why we continue to sponsor the Melbourne International Flower and Garden Show.